This extremely precious and beautiful enchanted Sea Pearl, is empowered by the great Pra Ajarn Supasit, of Wat Bang Nam Chon temple. It is not only are highly empowered Maha Pokasap, and Metta Mahaniyom Maha Lap amulet, it is also a pearl of wisdom with the power of ‘Panya Wai’ (fast intellect). Pra Ajarn Supasit has produced these extremely pristine, & beautifully designed, exquisitely finely crafted amulets. 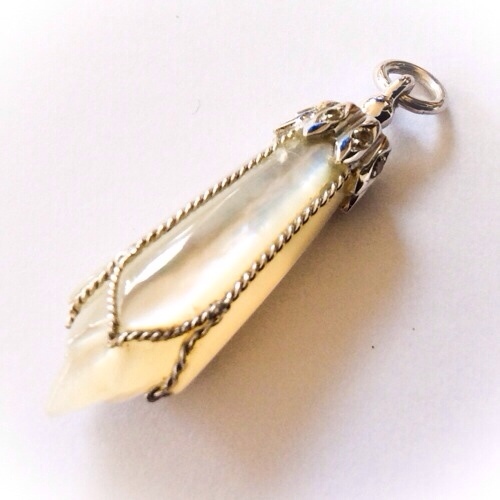 He has particularly intended them to be an attractive option for ladies who wish to wear amulets but are very orientated towards fashion and two delicate artisanry. 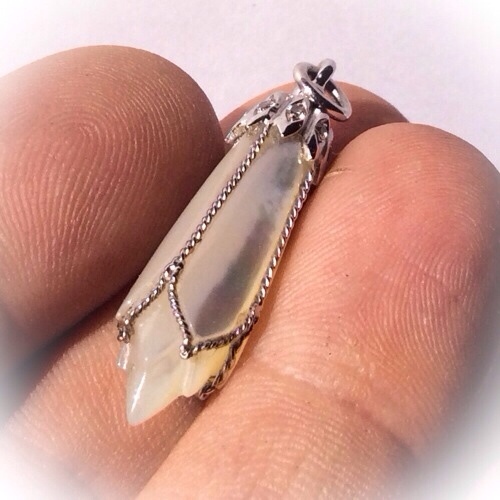 Apart from being a powerful amulet this is evidently and visually obviously, a piece of fine precious jewellery in addition to its magical power. These are some of the most finely crafted amulets we have seen that are indistinguishable from some of the finest jewellery from the worlds finest fashion designers. This does not mean however, that there is no power in them, or, that they are not amulets. These specially empowered precious natural sources of magic, are full of Maha Lap and Maha Pokasap power, as is the case with ‘Ploi Sek’ empowered gemstones, for the same reasons. Coming from the sea, or the ocean, better said, the enchanted pearls, have a very powerful, but subtle manner of enchantment, meant like the lulling sound of the waves of a being of the tide which slowly lapse away at your destined friends and lovers. are so well disguised, that they pass as a piece of beautiful jewellery and are therefore a very attractive and advisable option for ladies who wish to wear and use sacred Thai Buddhist amulets to improve their lives with Buddha Magic. Pra Ajarn Supasit, of Wat Bang Nam Chon, is one of Thailand’s most popular high-end amulet makers for his very small number of additions and high-quality amulets. 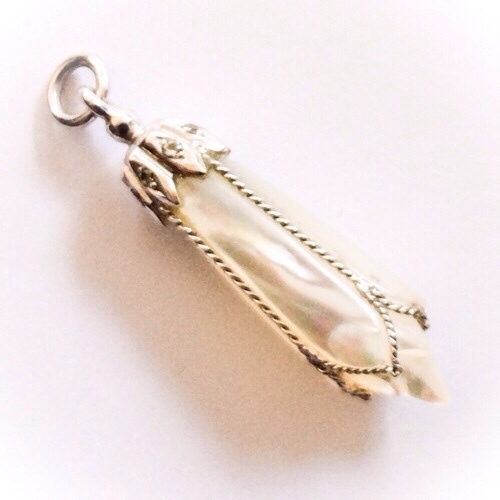 This is not the only factor which is made is amulets so collected and so rare. The high-quality dictates the elevated price of his extremely fine quality amulets, which use high class ingredients, and precious items, which can have the power to bring wealth wisdom and even seduction. 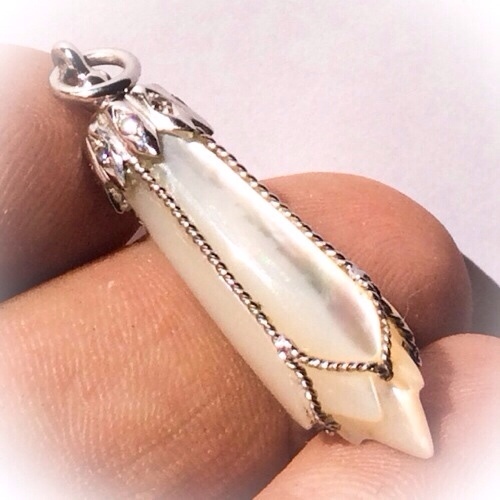 A high-quality precious polished pearl of this type, of high purity and beauty, with a very finely handcrafted solid silver brace, is a class A amulet. This is the kind of luxury amulet of a price that it is of course higher than average amulets, and is self explanatory. Those factors are in addition to his reputedly adept powers and purity of practice, which empowers his incantations, with the support of the Devas, the angelic intelligences, and the Buddhas themselves. 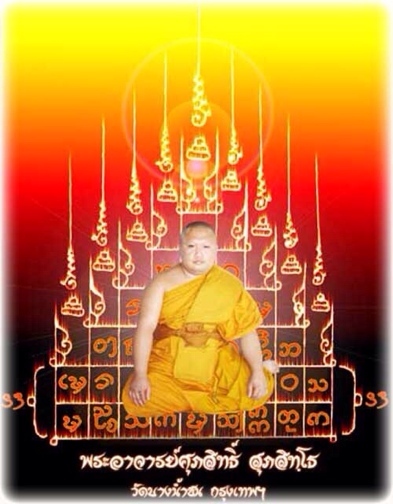 Below; the great master, Pra Ajarn Supasit, of Wat Bang Nam Chon. Apart from being an awesome pearl, this amulet has sacred ingredients hidden within it such as ‘Pong Bpatamang Lokee, and, a special Takrut spell inscribed upon a silver Yantra foil. Pra Ajarn Supasit likes to call the Pearl ‘Dork Jampa Pin’, which means a certain kind of flower,as a badge. 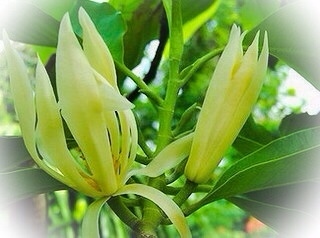 The Dork Jampi, is a flower which is often used in offerings to the Buddha. It is considered to be a very powerful Maha Sanaeh magical charm, because of its special herbal and pheromonic properties as well as certain invisible magical qualities which are believed to be attributed to this flower. There is a particular form of adept sorcery, called ‘Wicha Dork Jampi’, which uses the form, and image of this flower to make an amulet. This ocean pearl, possesses precisely the same shape as the dork Jampi flower, and has been empowered with invocations and incantations of this particular Wicha.